Our most important pursuit is inspiring the quest for academic excellence of our student-athletes through structured support programming focused on a culture of integrity, and accountability. We want to aspire greatness and educate our students to become self-directed thinkers and learners. We want our student-athletes to discover who they are as leaders and develop effective leadership skills to empower themselves and make a difference. 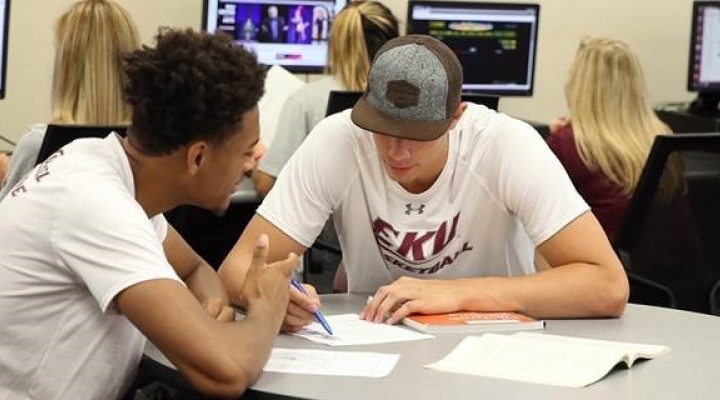 We believe that in order to make a difference in the lives of our Student-Athletes, we must provide them with the programs, services, and tools necessary for success in the classroom. In the Bratzke Center, we intend to create an atmosphere that encourages the students to take advantage of the support available and provides a place of welcome. We have high expectations for our student-athletes and have many programs and services designed to build champions in the classroom.